Director of Finance & Administration | SparkOC.com - The happening place for Arts happenings in the O.C. The Director of Finance & Administration is responsible for providing the daily financial and accounting functions and oversight of Pacific Chorale’s financial resources and compliance with standard GAAP procedures governing nonprofit organizations. This person works directly with the President/CEO and the Board to ensure the sound fiscal development and management of Pacific Chorale’s annual $2.5 million budget and stewardship of its nearly $4.5 million in institutional assets. The core finance responsibilities of the Director of Finance & Administration include but are not limited to daily accounting, monthly reconciliation of accounts, oversight of the annual budget development and tracking process, financial reporting and diligent analysis, management, and reporting of the organization’s cash-flow. The human resource responsibilities include management of the employee handbook, payroll management, management of applicable staff benefits, and oversight of the organization’s IT and office equipment systems. Assist with the management of staff electronic accounts such as email, Microsoft Office, etc. 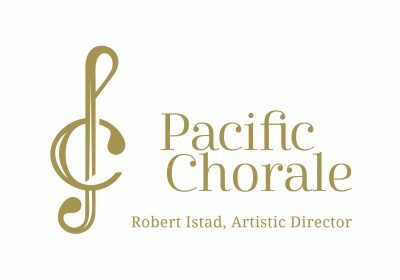 Pacific Chorale offers a competitive salary commensurate with the candidate’s experience and qualifications. Pacific Chorale also provides fully paid health, vision, and dental insurance for the employee, paid vacation, recognized national holidays, plus an organization-wide one-week paid closure during the year-end holidays and paid sick-time. There is a 403(B) retirement program available for participant’s contribution. Please submit a cover letter highlighting your relevant experience and interest for this position, a current résumé and salary expectations to careers@pacificchorale.org. Please include the applicant’s name and Director of Finance & Administration in the email subject line. Attach all documents as .doc or .pdf formats. The mission of Pacific Chorale is to inspire our community through artistry and innovation in choral music performances and education programs. Located in Costa Mesa, California, Pacific Chorale has delighted national and international audiences with concerts of great choral music performed at the highest musical standards since 1968. Under the artistic leadership of Robert Istad, the organization produces a series of concerts each year at Segerstrom Center for the Arts, where it serves as the resident choir. Pacific Chorale is recognized for exceptional artistic expression, preserving and performing classical choral music as well as presenting stimulating American-focused programming. In addition to its own substantial performance season and long-standing partnership with Pacific Symphony, the Chorale is sought regularly to perform with the nation’s leading symphonies, having performed with such renowned American ensembles as the Los Angeles Philharmonic, the Boston Symphony, the National Symphony, San Diego Symphony, Los Angeles Chamber Orchestra, Philharmonia Baroque Orchestra, and Musica Angelica. For more information about Pacific Chorale, please visit www.pacificchorale.org. Pacific Chorale is an Equal Employment Opportunity Employer and actively and enthusiastically seeks a diverse pool of candidates.